Serious Security is a leading CCTV installation company in Sydney for customers who want proper installation work done by a master security technician – that is, the installer you will have onsite is not an apprentice or cheap labour and is fully licensed, qualified and insured. Note – all pricing on website may be subject to an on site inspection. These prices presented are for single storey homes with roof access and within the Sydney Metro only. If your home doesn’t have eaves, doesn’t have a roof cavity, has an extension which doesn’t share the same roof space or you require the camera away from your main roof space, then these will likely change the costs of the installation of the system. If you have booked in an install and are not sure about this, the technician will advise you on the day. You will not be forced to proceed with the install if you are not happy with the price. Why do businesses install CCTV? Environmental, Health & Safety (EH&S). You can address OH&S requirements with a video surveillance system that helps you provide a secure and safe working environment for your employees and visitors. Furthermore, it can also help gather evidence when investigating OH&S injury claims. 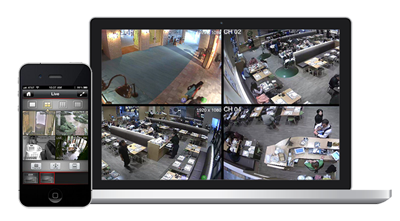 Accessibility – Live feeds can give you the ability to quickly and easily view access points in multiple areas of your facility. Profitability – With digital video surveillance, you can have greater control over loss from workplace theft of accidents. It may also help lower liability and insurance costs, especially when being sued. Productivity – Surveillance can discourage workplace violence, harassment and poor customer service. Reliability – New technology mean no more broken or worn-out tapes, and no more costly maintenance. Remote access – Many units can help you oversee your business from anywhere you have remote connectivity. What is the difference between a 2MP and a 4MP system? The main difference between the two from a user standpoint is the resolution. 2MP is less clearer than a 4MP system. This means things may not be as clear, especially if the object is far away. The 4-megapixel image has twice the detail of the 1080p image (4 MP vs. 2 MP), meanwhile the cost of 4-megapixel IP cameras is just little higher than 1080p IP cameras. Obviously, many users are inclined to select 4-megapixel cameras. However, by increasing the image resolution, the required network bandwidth and storage will increase accordingly. Which of your cameras have night vision? All of our cameras have infra red – or the ability to see at night. At night the cameras adjust to the light by turning into black and white mode. A typical 4 camera system takes around 4-6 hours to install for either a single storey home / standard office. It will take more time if your building is large or you need more cameras. How does a CCTV surveillance system work? This broadcasting is what allows you to access your feed from any computer, iphone or android device. How do I pay for my CCTV System? This is expected to be payable on completion of the job. The exception to the rule is if you agree with our staff to specfic alternative payment terms. 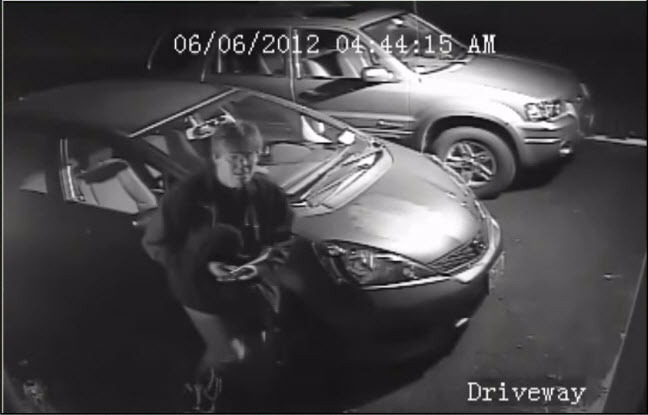 What warranties do you have on your CCTV products? Our CCTV systems have a warranty of 24 months. This is both a parts and labour warranty. Our installation team have been in the industry for years. Over this time, they have seen inferior products come and go. We have selected to work with products that we are because of their general quality and the reliability. Whats the difference between an Analog / Digital CCTV system? Cameras on an modern analog CCTV system send their video in the traditional base band format over coax or UTP cabling back to a digital video recorder (DVR). Here, video is digitized and stored on hard drives. Most modern DVRs can allow the streaming to be accessed remotely from the LAN, or with the proper configuration, from across the internet. IP or Digital video cameras broadcast their video as a digital stream over an IP network. Like an analog system, video is recorded on hard drives, but since the video is an IP stream straight from the camera, there is more flexibility as to how and where that video is recorded. The DVR is replaced with an NVR (network video recorder), which in some cases is just software since it doesn’t need to convert analog to digital. Video footage can then be stored on hard drives as directed by the NVR software. What is HDCVI / HDTVI? These newer technologies allow digital signals to be communicated over COAX cables and thus you are able to use old cables to transmit the data. These are commonly used to upgrade old systems to up to 5MP or even 4K clarity. They are usually more cost effective than upgrading to a completely IP based system. Why choose a completely digital system? How do I use my Hikvision CCTV system? Here is a great video that runs through most of the commonly used features of the Hikvision 4.0 version NVR. Get Started Now! Fill in the form below and we’ll get right back to you ASAP! What makes up a surveillance system?